Integrating culture-based learning and preserving Anishinaabe knowledge. Shingwauk Kinoomaage Gamig’s new building is a $12 million combined education, research, and cultural centre designed to support the mission of SET’s post-secondary education initiative. The building is funded by Government of Canada’s Strategic Innovation Fund. Its signature feature is a state-of-the-art National Chiefs’ Library, a library, archives, and gallery designed to provide a repository for Anishinaabe created information and related research and scholarship within an accredited, culture-based, Anishinaabe controlled, postsecondary environment. The Shingwauk Education Trust (SET) is building the new home of Shingwauk Kinoomaage Gamig (Teaching Lodge), which will be completed in late 2018. SET shares the site of the former Shingwauk and Wawanosh Indian Residential Schools with Algoma University in Sault Ste. Marie, ON. Shingwauk Kinoomaage Gamig is the realization of Chief Shingwaukonse’s (1773-1854) Vision to create a “Teaching Wigwam” with an overall goal of providing education to Anishinaabe (First Nations, Métis, and Inuit) students. 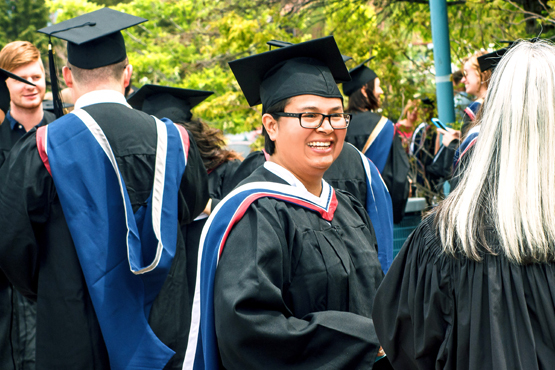 Shingwauk Kinoomaage Gamig is one of Ontario’s nine Aboriginal Institutes, which are part of Ontario’s post-secondary education sector created by the Indigenous Institutes Act, 2017. Shingwauk Kinoomaage Gamig is also accredited the World Indigenous Nations Higher Education Consortium. Shingwauk Kinoomaage Gamig offers a culture-based university degree in Anishinaabe Studies (3-year) and a 3-year Anishinaabemowin (Ojibway) degree in partnership with Algoma University. Here, we explore the potential of Anishinaabe knowledge. The National Chiefs’ Library will be able to use digital technologies and the online research infrastructure available to post-secondary institutions in Ontario. The campus is home to the largest and most digitally accessible university archives in Northern Ontario; it also has one of the best research archives concerning the legacies of the residential schools in Canada: the Shingwauk Residential Schools Centre. Additionally, our campus is the official repository for the archives and records of the healing projects funded the former Aboriginal Healing Foundation (1998-2014). Performing conservation on deposited records (in all formats). Providing guidance and solutions for the handling and long-term curation of digitized or born-digital records. Digitizing key records in accordance with protocols agreed to by communities. Cataloguing records on an online, web accessible catalogue and making them available and searchable 24/7. Providing reference and research services. Working with First Nations’ staff to arrange for regular, secure transfers of records from each First Nation. Facilitating exhibitions or other types of outreach and education that communities may wish to undertake using their own records. Providing annual reports concerning the growth, care, and use of each community’s records. Shingwauk Kinoomaage Gamig is an emergent, Anishinaabe (First Nations, Métis, and Inuit) governed and culture-based post-secondary institution. We need your support to share our story to potential students who may wish to attend Shingwauk Kinoomaage Gamig. We need your support to endow scholarships and bursaries to support our students. We need your support to continue to build the facilities and infrastructure that Shingwauk Kinoomaage Gamig needs as a growing institution. We need your support to put us in touch with individuals, groups, and communities who need a safe, modern, culturally responsive repository for the unique and irreplaceable information that they possess. We need you to support the work we do in receiving archives, preserving them, and making them accessible to future generations. We need you to help guide us in our journey to provide culture-based education to future generations of Anishinaabe learners.